Pallet live storage for ‘LIFO Last in first out’ & ‘FIFO First in first out’ systems, ideal for order picking, buffer stock holding & despatch storage. Available as Cart System, Full width Roller System & Mini roller system. Carton live storage for ‘FIFO First in first out’ handling of cartons and containers. Available as mini rollers in tracks or mini wheels in frames. 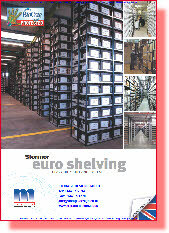 Stormor Heavy Duty Euro Shelving System. Modular clipped shelving for quick installation and adjustment. Single and two tier systems. Full range of accessories: Shelf dividers, Steel Drawers, Part depth shelves, Garment hanging, Cupboard doors, Lateral filing cradles, Hanging files, Plastic drawers, Floor trim, Timber decking, Louvred panels and small parts open fronted containers. 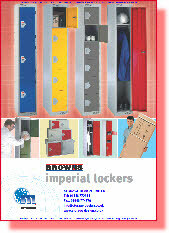 BROWNS Moresecure & Link 51 Imperial locker range. Standard lockers, Perforated Lockers, Ventilated Lockers, Single Tier, Two Tier, Three Tier, Four Tier, Five Tier, Six Tier, Cube Lockers, Top Coater, Garment Rails, Budget Kit Lockers, Two Person, Nurses Locker, Equipment Locker, Twin Locker, Clean & Dirty Locker, Garment Dispenser & Collection Lockers. Accessories Sloping Tops, Numbering, Three point locking systems. 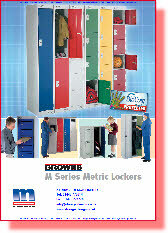 BROWNS M Series Metric Lockers. Moresecure Link 51. Standard lockers, Perforated Lockers, Ventilated Lockers, Cube Lockers, Quarto Lockers, Bridge Units, Two Person, Nurses Locker, Twin Locker, Clean & Dirty Locker, Garment Dispenser & Collection Lockers. Utility Locker, Golf Locker, Slimline lockers, Heavy duty lockers, Insight clear door locker, Post locker, Plastic polyethylene locker, seats and cloakroom equipment. JUST Shelving series of budget storage equipment for Offices, Workshops, Stockrooms, Manufacturing, General Stores and Engineering. 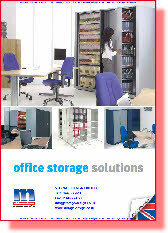 Shelving, Benches, Workstations, Binning bays, Filing, Archive carton storage, Lever arch file store, Garment hanging. Standard Duty, Heavy Duty and Pre-Galvatite ranges . 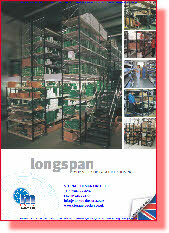 Moresecure Link 51 Longspan shelving system. Ideal for heavy duty applications, single tier, two tier or high bay applications. Full range of accessories: Steel shelves, Chipboard shelves, box beams, stepped beams, support beams, lateral dividers, mesh panels. 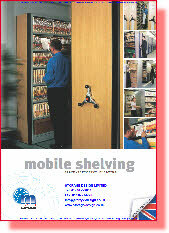 Mobile shelving to save or create space. Easiglide, Powerglide electric mobile shelving. 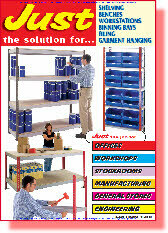 Supaglide, Duraglide manual assisted mobile shelving. Track Options, integral track and floor, surface mounted track, in-situ track, surface profile track. Office storage solutions for high density storage. LD-250 for simple high density shelving. Steel storage cabinets and cupboards. Side filer and Filing cabinets. 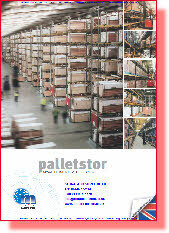 Palletstor Moresecure Link 51 Pallet Racking. Adjustable Pallet racking, Wide Aisle, Narrow Aisle, Double deep, Drive-in, Dynamic pallet live, Carton flow racking, Push back racking, Storage platforms and shelving, Specialised storage, real storage, carpet storage, furniture storage. 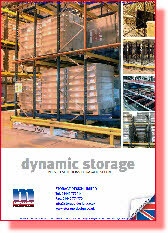 Rack protection, Barrier rails and Warehouse protection. 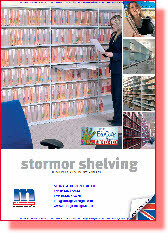 Moresecure Link 51 STORMOR shelving system. Panel options Stormor Mono, Stormor Solo and Stormor Duo. Ideal for Library Books, Box files, Archive Files & Boxes, Small parts storage and dispensing, automotive & pharmaceutical, Industrial and commercial storage.